If you don’t like the career you’re in, you might want to work in the swimming community and be a part of our big swimming family! Go here to see 1357 Swim Jobs. Provide a friendly, inviting, and competitive experience in an environment that will enhance the quality of life, physical and emotional well-being for individuals, families and employees through the swim team experience. Teach proper stroke fundamentals to team members while examining individual fitness needs and goals. Train and help educate the coaching assistants for swim team practice. Design/organize swim team practice schedules and additional swim team functions. Attend all swim meets and provide positive, constructive communication with team members and parents. Must be energetic, enthusiastic and have a motivational personality that enjoys working with children and adults of all ages. We hire energetic, positive employees passionate about swimming, water polo, or both. As one of the oldest aquatics teams in Albuquerque, we pride ourselves in fostering attitudes of excellence for every member in our program. Established in 1998, Memphis Thunder Aquatic Club, a level 2 USA swim club, has openings for a strong, energetic, and dynamic Head Age Group Coach as well as Assistant Coaches for our USA Swimming team. Located to the east of Memphis in Collierville, Tennessee, MTAC is comprised of 200+ year-round athletes from novice to Junior National qualifiers, ranging in age from 5 to 18 years. SwimLabs is now in New York Metro! We have 6 Olympic Training Center Quality Flumes in our SwimLabs facility in Westchester, NY and focus on underwater video analysis and fun learn to swim for people of all ages and skill levels. If you are a certified lifeguard, a swim instructor or head coach or are looking to get into swim instruction then please apply. Coaches of all levels will love what our facility brings to them and their ability to teach with cutting edge-high tech equipment. The Cato-Meridian Community Recreation Center is a shared use facility between the Cato-Meridian Central School District and its community. The Cato-Meridian Community Recreation Center is dedicated to enhancing the quality of life and culture of the community it serves through diverse recreational, educational and social opportunities. Are you someone who is passionate, motivated, hardworking and loves working with children?! Charles River Aquatics is perfect for you! We are looking someone who can provide direct leadership, instruction, and motivation for students in swimming classes. Someone who can build effective, authentic relationships with students and parents. We also take pride in our ability to develop life skills through swimming. Our staff believes that self development is as important as stroke development. We aim to help every one of our swimmers, children and adults alike, to take on challenges and grow. Swimtastic Swim School has taught thousands of children to love the water. At Swimtastic, we group the children by their age and then ability with no more than 4 kids in a class. Swimtastic offers Swim Lessons starting at 6 months through adults, Birthday Parties, Family Swim, and Recreational Swim Team. Southridge Aquatic Raider Gators (SARG) is seeking a highly motivated and knowledgeable individual for the Head Coach position with our well-established club. The Head Coach will work with swimmers, parents, and assistants to continue to build upon our tradition of over 20 years of swimming excellence in the Southern Indiana region. We offer all phases of swimming from: Lessons, Age Group with competition levels in USA Swimming as well as a Masters program. Under the direction of the FRST Head Coach, our Head Age Group Coach will help manage the swim team in accordance with the rules/regulations set forth by USA Swimming & the FRST By-Laws. Head Age Group Coach must have a great ability to work well with our athletes, parents, and coaches. Head AG Coach will also be expected to assist in the growth both in numbers as well as performance. The Head Coach Position must also be heavily involved in communication (website, newsletters, meetings) as well community-based initiatives. FRST has every intention to continue its journey in becoming a nationally recognized program. We are looking for an energetic and reliable USA certified coach to be our lead assistant. Responsibilities would include helping the Head Coach run our Age Groups and possibly lead one of the groups. This position would also include Private Lessons and use of the Bay Clubs awesome facilities. The position is hourly from late afternoons to early evenings Monday-Friday with flexibility depending on availability. Palo Alto Stanford Aquatics (Cardinal Site) is seeking multiple assistant coaches to work with competitive & developmental swimmers. We train at multiple facilities in Palo Alto, California, and on the Stanford University Campus. Coaches will be responsible for between 4 – 15 hours of on-deck coaching per week, and may attend 1 weekend meet per month. Hours will depend on groups and availability. Practices run on weekday evenings and Saturday afternoons. Part time positions are available. The Wilton Y Wahoo’s, a premier 2017 USA Silver Medal swimming club in New England is based in Fairfield County, Connecticut. We have an immediate opening for a Full-Time, Exempt status, Assistant Senior Coach. The successful candidate will be responsible for his/her own training group and assist with other groups on a daily basis. The Assistant Senior Coach is also responsible for all administrative duties required for their training group and other duties as determined by the Head Coach. 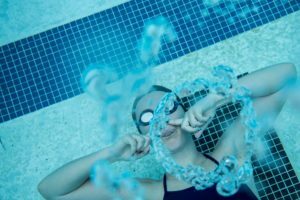 The Pueblo Swim Club offers swim lessons, pre-competitive and competitive aquatic programs for beginners through elite swimmers. It is our mission to provide programs that allow individuals to have fun, work hard, achieve swimming goals and develop important life skills to help them succeed throughout life. Successful candidates for this position will beresults-driven, with a genuine passion for competitive swimming. This role will be responsible for selling and promoting FINIS to teams, coaches,and retail accounts. 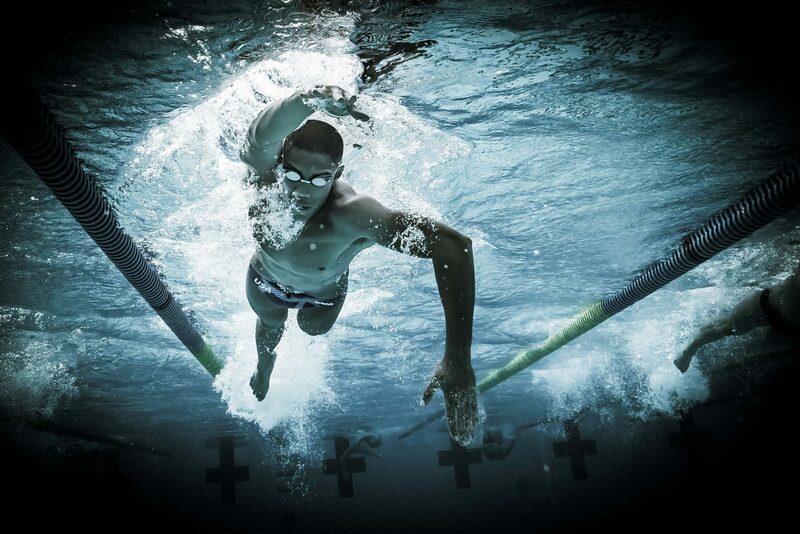 At FINIS, we love two things: swimming and innovation. The draw to the water is in our blood, and our passion to educate drives us to constantly challenge the status quo-we are looking for individuals that are ready to do the same! 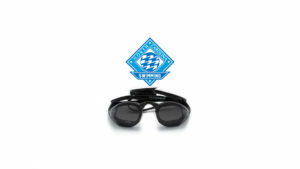 At FINIS our vision is to improve the quality of swimming. We express that vision through innovative product development, convenient customer service, and ultimately the sharing our unique technical knowledge with everyone. Passionate about swimming and the water, our entire staff is a dedicated and highly ambitious TEAM focused on achieving our vision. The Lake Linganore Dolphins are a summer swim team located in New Market, Maryland. The head coach is responsible for running practices, training and managing assistant coaches, creating meet lineups and working with swimmers and their families to create a fun learning environment for swimmers age 5-18. Our season runs from the day after Memorial day until the last weekend in July. The University of Virginia is a highly competitive Division I program committed to academic and athletic excellence. The Department of Athletics at the University of Virginia is now accepting applications for the position of Assistant Coach for the Men’s and Women’s Swimming and Diving programs. The University, located in Charlottesville, Virginia, is a selective public institution known for its teaching, research, and public service. The University of Virginia sponsors a twenty-seven sport intercollegiate athletics program, which includes approximately 650 student-athletes. Edmonton Keyano Swim Club, based in Edmonton, Alberta; wishes to announce an exciting opportunity for a talented, charismatic and high-level candidate to join our Club as our Head Coach. We have a strong tradition of excellence in swimming and an aspirational vision for our future. The successful candidate will be instrumental in shaping, leading and delivering our vision – building on our strong heritage and reputation – to significantly grow our Club from one of the larger swimming clubs in Alberta, to one of the largest and most successful across Canada. Union College (KY) is seeking candidates for the position of Graduate Assistant Swimming Coach. The successful candidate will assist in conducting the men’s & women’s swimming program within the philosophy and guidelines set forth by Union College, the NAIA, and the Appalachian Athletic Conference. Responsibilities include but are not limited to: coaching, recruiting, scheduling, budget management, academic monitoring, and other duties as assigned by the Head Swimming Coach. Conejo Simi Swim Club is looking for an assistant age-group coach who will be running our summer program group while also training with our age-group coaches, to be available to take on an age-group coaching position in the fall. In the summer, this coach will be working in the evenings Monday – Thursday, and some Fridays for mini-meets. 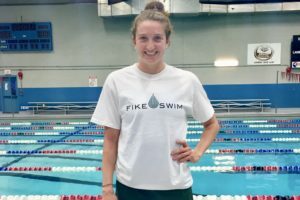 In the fall, this coach will coach one hour Monday – Friday in the evenings at Rancho-Simi Community Pool in Simi Valley. It will also require some weekends for swim meets. Manage contract deliverables for sponsored teams, athletes and coaches. Actively drive team sales through sponsorship and promotional programs. Support sales through events and select account management. The Aquatics Division’s mission is to ensure fun and safe water experiences by providing a diverse range of healthy, accessible aquatic programs that continue our legacy of water safety. This team also works to ensure our aquatics facilities are physically and emotionally safe and welcoming places for individual enrichment and community growth. The Amherst Tritons Swim Team is located in beautiful Amherst Massachusetts with a vibrant and energetic college community. Our private swim club of 120 swimmers competes on a recreational and USA swim level. We are looking for an energetic, dedicated individual to fill the year round position of a part time Assistant Coach for our T0 to T2 swim groups ages 5 to 10. The assistant coach will attend practices, swim meets and team events usually between 3pm to 8pm on weekdays and 8am to 1pm on weekends. Wissahickon Community Aquatic Club (“WCAC”), a parent run swim and dive program, has just moved into a new state of the art natatorium complex at the Wissahickon High School in Ambler, PA. The club is seeking an experienced, committed and motivated individual who can identify goals and put in place plans to grow the various WCAC programs. Currently WCAC’s primary focus is the community based swim and dive team, comprised of 200+ swimmers and divers. The boys and girls teams participate in the Suburban Aquatic League during the winter. The club is also a member of USA Swimming. The USA Swimming program is a year round program with approximately 45 swimmers. To perform this job successfully an employee must be able to perform each essential duty satisfactorily. Attend training and instructor the Star Aquatics lesson program. Provide a safe and extraordinary experience for swimmers, members, and guests. Must be present, interact, and supervise all students at ALL times. Communicate effectively and efficiently with different individuals and groups of people both internally and external. Must be ready and abled-body to enter the pool at all times in the event of an emergency or necessity for instructing; able to teach while in the water. King University has a Graduate Assistant position available for men’s and women’s swimming. The Graduate Assistant will assist the Head Coach in every aspect of the program. King University is located in Bristol, TN, and participates in NCAA Division II and is a member of Conference Carolinas. A bachelor’s degree is required, along with admission into King’s MBA or M.Ed. program, plus collegiate playing experience in the swimming. Candidates must also complete a driver approval process and background check. Luther College, a private, liberal arts institution located in Decorah, Iowa, seeks applications for a men’s and women’s assistant swimming coach/assistant aquatics director position. The Assistant Swimming Coach/Asst. Aquatics Director will assist with all aspects of the men’s and women’s swimming program as assigned by the head coach and actively participate in the recruitment of student-athletes. The successful candidate will assist the Aquatics Director with all aspects of the aquatics center operations. The University of Alabama is seeking applications from qualified candidates for a full-time Assistant Coach of Swimming. Responsibilities include: on-site coaching, recruiting, training group oversight, and administrative responsibilities as assigned. Bachelor’s degree required. Requires elite senior level coaching experience. Knowledge of Division I NCAA, Southeastern Conference, and university rules and regulations preferred. The University of Alabama is an equal-opportunity employer (EOE), including an EOE of protected vets and individuals with disabilities. The Evelyn Rubenstein JCC is a non-profit charitable organization serving the Greater Houston community for over 70 years. When you step into the Evelyn Rubenstein JCC, you’ll find a center filled with remarkable people, dedicated volunteers and a wide-array of year-round programs, activities and special events. At the J, we’re committed to enriching the lives of our members and the community. Maintains constant surveillance of patrons in the facility; acts immediately and appropriately to secure safety of patrons in the event of emergency. Provides emergency care and treatment as required until the arrival of emergency medical services. Act as an ambassador of club programming. Binghamton University: Assistant Men’s and Women’s Swim Coach. Assisting in all aspects of a Division I intercollegiate program under the direction of the head coach including instruction, conducting practice and teaching skill development, planning, recruiting, budget, team travel, scheduling, practice and serving as an academic advising liaison. St. Johns seeks a part-time assistant swim coach. Under the direction of the Head Coach, this position will assist in the day to day operation of a year-round competitive aquatic club team utilizing a 25-yard competitive swimming pool at a Pre-K3-Grade 12 private school in Orange Park, FL. The club swim team currently has over 50 members year-round. This position will also assist in the coaching of the school’s varsity swim team. Practices should help participants to reach their full potential while providing a positive and supportive environment that encourages goal setting, work ethic, sportsmanship, and working as part of a team. The coach must attend morning (summer only) and afternoon practices and attend swim meets. This position will be responsible for keeping accurate attendance. Also, included in the responsibilities is summer work with the school’s Summer Camp swim. A successful candidate will be an enthusiastic and supportive coach who builds success through positive coaching. Judson University is looking for a coach for its new men’s and women’s swim program for the 2018-19 school year. This position is full-time, and we are searching for a head coach who can direct all aspects of this program, including recruiting, scheduling, practice and meet management, fundraising, budget management and promoting the spiritual, academic and athletic development of student-athletes. Previous experience as a college swimming coach is preferred and a Bachelor’s degree is required. Judson is located in Elgin, Illinois and has access to one of the best aquatics facilities in the region. Judson is a member of the N.A.I.A. and the N.C.C.A.A. Salary will be approx. $35 – $40,000. swim team members during practices and competitions. Previous experience working with children in an instructional and/or athletic setting USA Swimming Coach Certification. Current CPR and first Aid Certification Enthusiasm for swimming activities. Excellent interpersonal and communication skills Mentally and physically fit. Nineteen years of age or older Previous experience working with children. 92nd Street Y Flying Dolphins Swim Team (YFD), located on Manhattan’s Upper East Side, is seeking a highly motivated, experienced, well-organized, and enthusiastic individual to take on leadership responsibilities for our Age Group Program. 92nd Street Y Flying Dolphins is committed to promoting personal development and the pursuit of excellence (mind, body, spirit) so that each participant can be the best they can be in all aspects of life while helping each athlete reach their highest potential within our sport. TYR Sport’s International Sales Associate is your opportunity to grow TYR’s international market share. As our International Sales Associate, you will work hand in hand with our global partners to continue TYR’s growth throughout the world. We are looking for a hands-on professional who will collaborate with other members of the supply chain, sales and customer support teams to increase global sales objectives. Bring your design innovation to products used by some of the world’s most accomplished professional athletes! TYR Sport Inc., the leading manufacturer of competitive swim and triathlon gear, is looking to add an experienced and hands on Industrial Designer to our hard goods design team. TYR Sport, Inc. has an opening for an experienced Demand Planner to effectively manage inventory through forecasting, planning, and best practices. We are seeking a hands-on professional who will be responsible for developing and executing forecasts and inventory plans that will enable us to meet sales and service objectives. Collaboration with other members of the supply chain, sales, and customer support teams will be paramount to achieve these objectives. Maryland Golf and Country Clubs is looking for a seasonal Pool Manager to manage our state-of-the-art, outdoor swimming complex. Our Pool Manager is responsible for the day-to-day operations of the Club’s swimming facilities, to include staffing, special events, safety, and cleanliness. Responsibilities include training and supervising the pool staff in all matters of pool safety, operating procedures, and member service; planning and assisting with special events, such as swim meets; and assisting with the hiring, training, and development of the coaching staff. Be a part of the fastest growing brand in the industry! SafeSplash Swim Schools of Austin is now hiring Swim Instructors and Lifeguards in your area. If you are energetic, personable, and responsible and love working with kids, you may be just the person we are looking for! O2 Performance Aquatics (O2) is seeking a Head Masters Coach for a USMS affiliated program in Dallas Metro Area, TX. This coach will plan workouts and provide technical instruction for various levels of adult athletes. The right candidate will also work with the O2 Head Coach to grow and improve the program. Beautiful Sedona, AZ is seeking a Head Swim Coach. Under the supervision of the Board of Directors, the Head Swim Coach will be responsible for carrying out the overall goals and objectives while promoting fun and team spirit. The City of Berkeley is excited to share the recruitment for Aquatics Coordinator. This classification is responsible for the coordination and management of City Aquatics facilities and programs. We are seeking applications from highly skilled individuals with recreation program planning and coordination experience with an emphasis on aquatics facility management. The incumbent plans, organizes and implements multi-faceted City-wide recreation and aquatics programs and activities; identifies community swim program needs and recommends alternatives or enhanced programs; inspects pools and facilities and performs routine pool maintenance; provides staff training and professional development. Looking to be a part of the fastest growing brand in the industry? SafeSplash Swim Schools of Northern New Jersey is now hiring Swim Instructors in your area. If you are energetic, personable, and responsible and love working with kids, you may be just the person we are looking for! Highlands Ranch Aquatics (HRA) seeks a full-time senior development coach passionate about teaching and motivating young athletes. 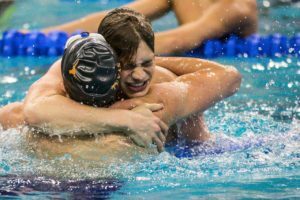 HRA is a USA Swimming Bronze Medal Club (a top-200 ranked program nationally), with a history of producing State, Zone, Sectional and Junior National qualifiers, as well as developing collegiate student-athletes. Smoky Mountain Aquatic Club is looking for a part-time seasonal swim coach beginning May 1, 2018. We are located in Waynesville, NC, an 8 lane, 25-yard swim pool at the Waynesville Recreation Center. The candidate should have one or more years experience as a coach or assistant coach for an age group swim team or high school, possess strong communication skills, and be confident running 20-30 swimmers through a two-hour swim workout four days a week. The candidate will also need to manage our team at four summer league meets. The ARETE Swim Camp launch’s it’s 21st year in the summer of 2018. ARETE is an all encompassing learning experience for competitive swimmers age 8-18. 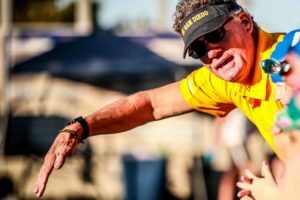 The founder and director is Coach Chuck Warner, a three-time USA National Team coach, former president of the American Swimming Coaches Assn. and coach of seven National Y Championship Teams. Coach Warner began the camp at Rutgers while he was head coach. ARETE became so popular that it continued after Coach Warner departed Rutgers in 2010.
and improve the technical and physical skills of swimming in each participant. The Upper Valley Aquatic Center is full multi-purpose Aquatic and Fitness Center with multiple pools located in beautiful White River Junction, Vermont. Our facility owned team, The Upper Valley Aquatic Club, is seeking an experienced year-round Head Coach. We are a Level 1 USA Swim team with 140 swimmers. Our team has had 2 Olympic Trial Qualifiers, 5 National Qualifiers, 1 National Junior Team member, 50 plus Sectional Qualifiers, a Bronze medalist at the 2015 World Junior Championship in Singapore, and more. The Head Coach will attend and coach practices, swim meets, and Center events. Leads and coaches young swimmers in swimming. Creates a fun and inviting learning environment to ensure a positive member experience. Builds strong relationships with participants and continually challenges them to the next level. 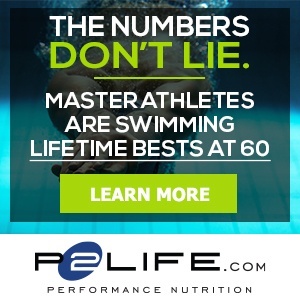 Do you have a passion for swimming and living a healthy way of life? We are looking for a passionate Head Swim Coach who enjoys working with youth and will help our members improve their swimming while having fun! Fig Garden Swim & Racquet Club is a member-owned country club which offers its members fitness facilities, fitness classes, swimming in both our recreational pool and lap pool as well as offering year-round tennis. Our club is in the historic “Old Fig” area of Fresno nestled within a beautifully tree-lined neighborhood. Our heated lap pool operates a swim program consisting of the club and swim members. Our Fig Garden Swim Program includes swimmers from ages 5-12. Swimmers practice in the afternoons Monday through Thursday. OC Riptide Aquatics Swim Team (RIPT) is seeking a motivated and committed individual to serve as Assistant Coach. 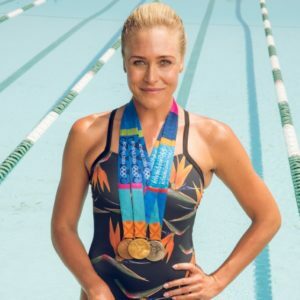 Our mission at RIPT is to provide young athletes a competitive swimming program that will inspire them to achieve their highest potential in and out of the pool. We work with the youth of Huntington Beach and surrounding cities to provide a solid foundation in stroke development and support their growth throughout all levels of aquatic competition. We’re more than a pool – the mission of the YMCA of Metro Chicago is to develop strong children, families and communities across Metropolitan Chicago through fitness and healthy living, academic readiness, character development and violence prevention. Our 20 membership centers across the city and suburbs, 5 camps, early learning, school-aged and other programs provide everyone with a safe place to swim, learn, play and grow. Ohlone College seeks to employ faculty members who have a passion for teaching and learning and a strong commitment to the missions and ideals of the community college. We are looking for excellent teachers who are student-oriented in their approach and dedicated to student success. An ideal candidate will be skilled in generating student engagement in learning. Innovative teaching strategies are encouraged at Ohlone, including collaborative learning and the active use of technology. Assistant coaches hired for Fall 2018 sports may also coach Spring 2019 sports if qualified and available. Assistant coaches support head coaches in conditioning athletes, conducting practices and overseeing competitive meets. Prior coaching experience required, preferably at the collegiate level. Pay for this position is $11.15 per hour. Northport Yacht Club is seeking an experienced, committed and personable Head Coach for our summer swim team program. Our goal is is threefold: to provide the best recreational experience for all swimmers in the program, to provide a competitive atmosphere for all swimmers to challenge themselves based on their drive and skill level, and to ensure a fun experience for all families involved. The Aquatics Coordinator will manage the operations and programs of the Aquatic Department at the Batesville Community Center. Responsible for supervising water safety instruction, lifeguard, water aerobics instructors, and others assigned by the Parks Director. Must demonstrate a strong personal commitment to the mission and goals of the Batesville Parks and Recreation Department while carrying out their assigned responsibilities in accordance with City of Batesville Policies and applicable laws. 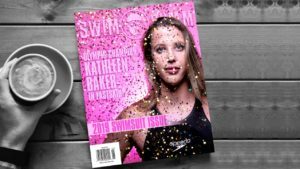 The fee to submit a Swimming Job is very low, only $50, and SwimSwam leverages the Swim Job to social media, @SwimSwamNEWS (with 98,000+ followers) and SwimSwam Facebook (with 623,000+ fans). I also leverage Swim Jobs on @GoldMedalMel (with 34,200+ followers) and GoldMedalMel Facebook (with 238,000+ fans). We’ve learned Swim Jobs are important to our audience. They like knowing what jobs are available in our big swimming family.